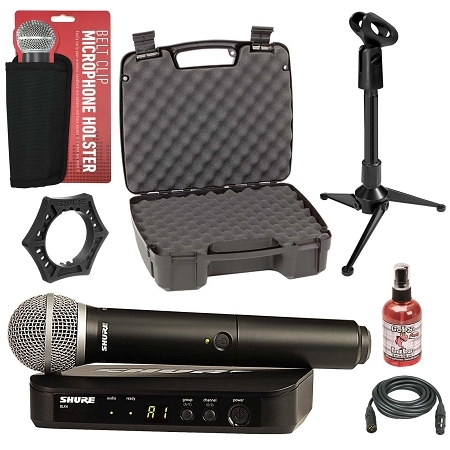 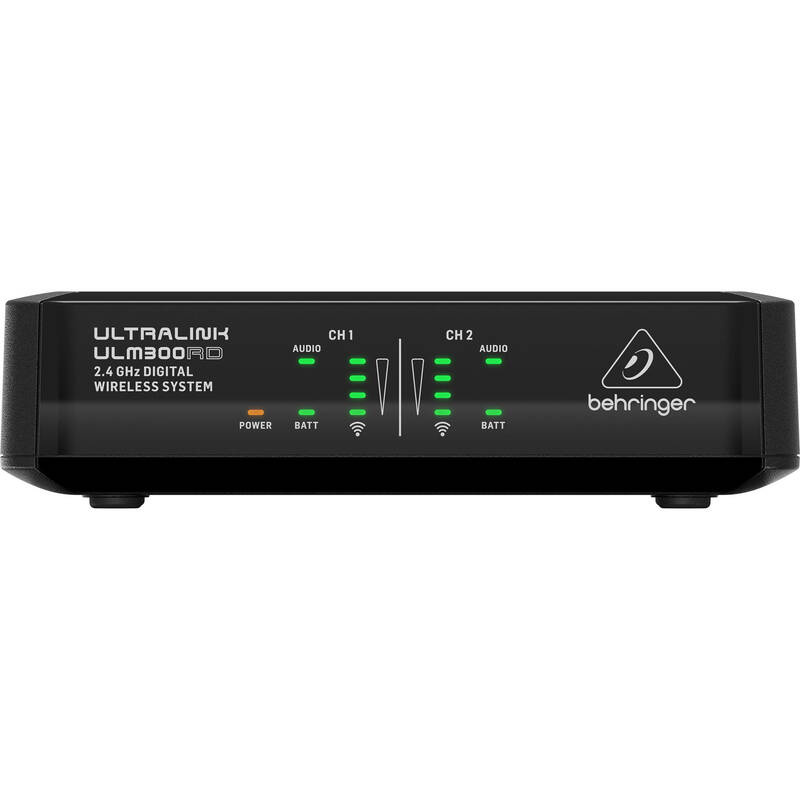 The Behringer ULM302MIC is a 2.4 GHz wireless microphone system designed to provide out-of-the-box functionality and voice-optimized performance for DJs, vocalists, presenters, and public speakers in clubs, concert venues, conferences, and live stage applications. 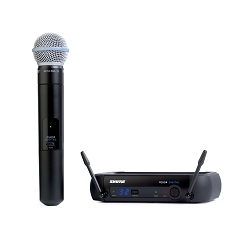 The included handheld wireless mics and dual-channel receiver automatically pair and communicate via the license-free 2.4 GHz frequency band. 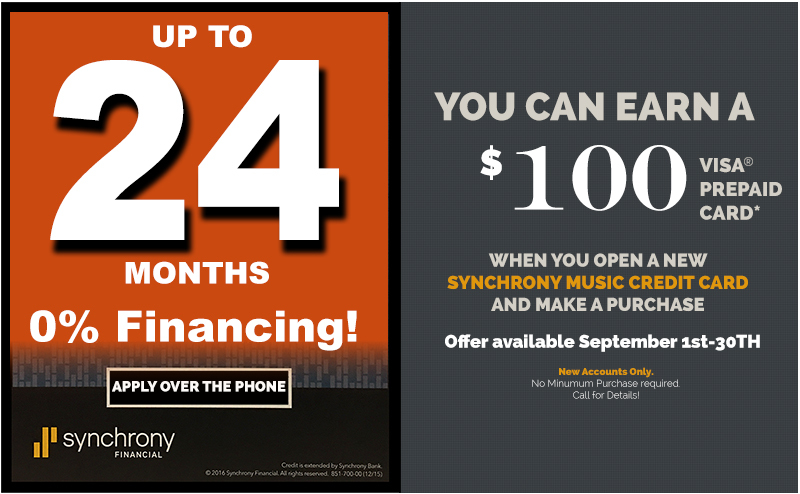 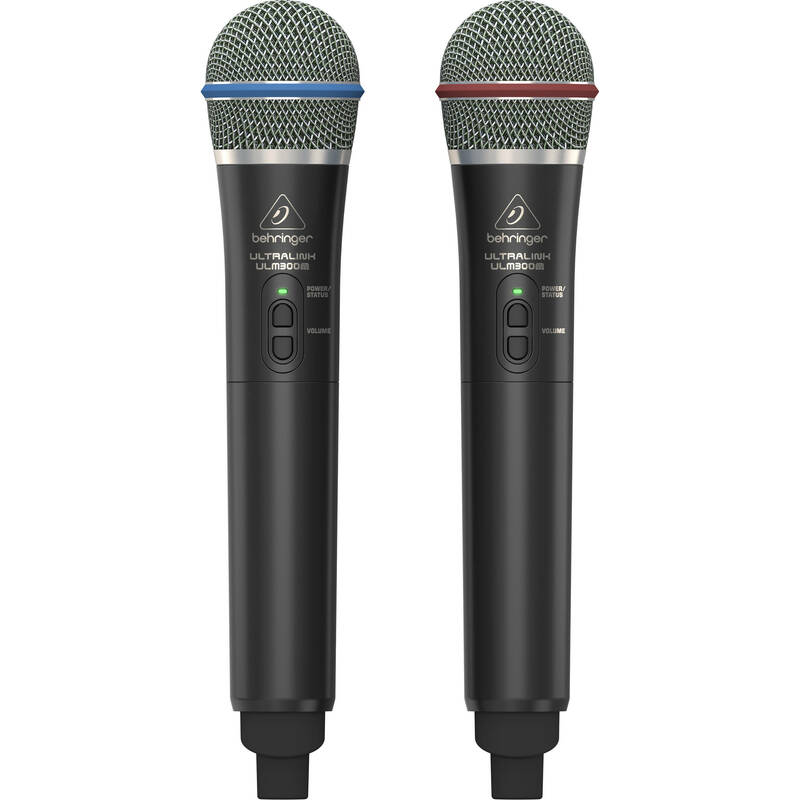 Two AA batteries (available separately) allow up to 24 hours of operating time for the mics, which feature integrated volume and mute functions. 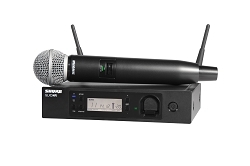 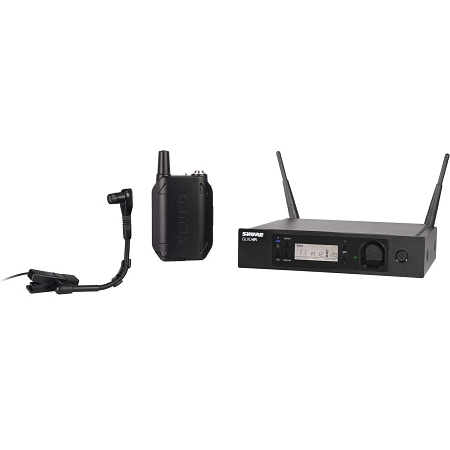 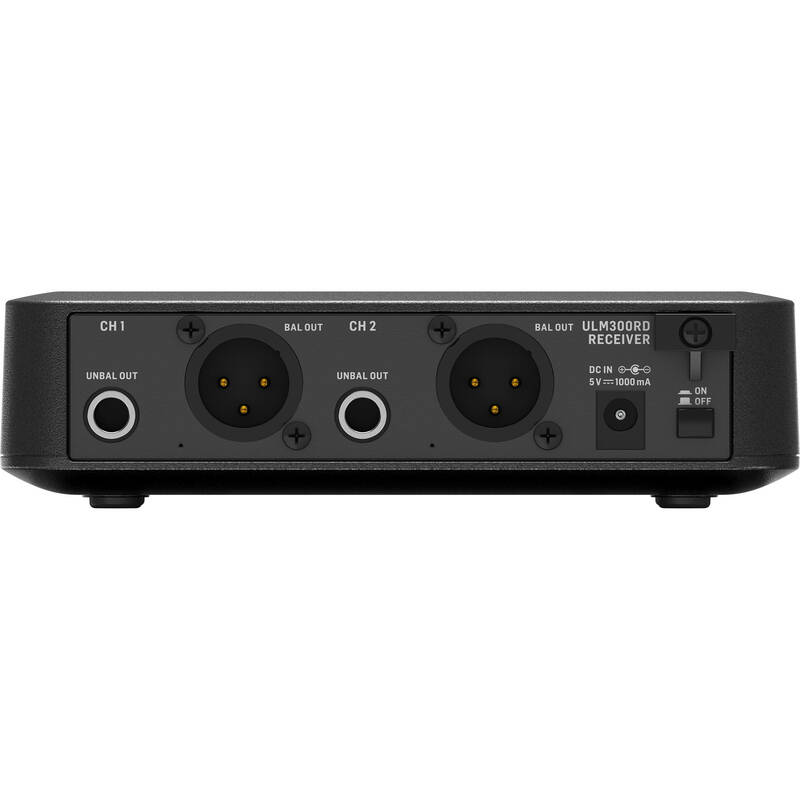 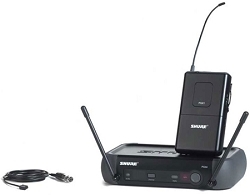 The wireless receiver, powered via the included 5 VDC power supply, can be used up to 200’ away from the mic and offers balanced XLR and unbalanced 1/4" outputs for simple connection to mixers or PA systems. 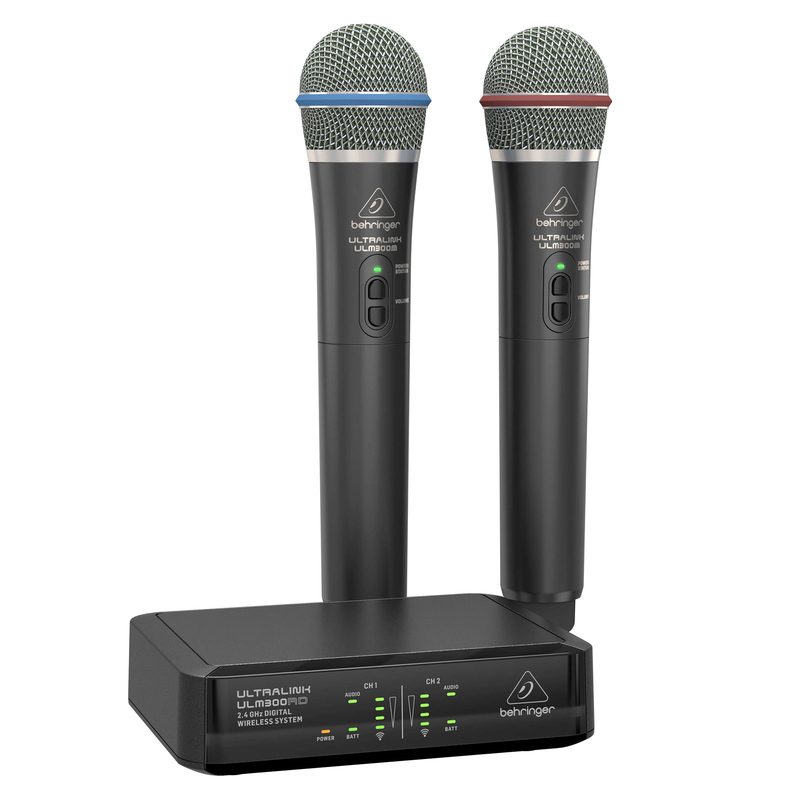 LED indicators for power and battery status, audio presence, and signal strength ensure that you’re never unsure of what’s happening with your microphone system.